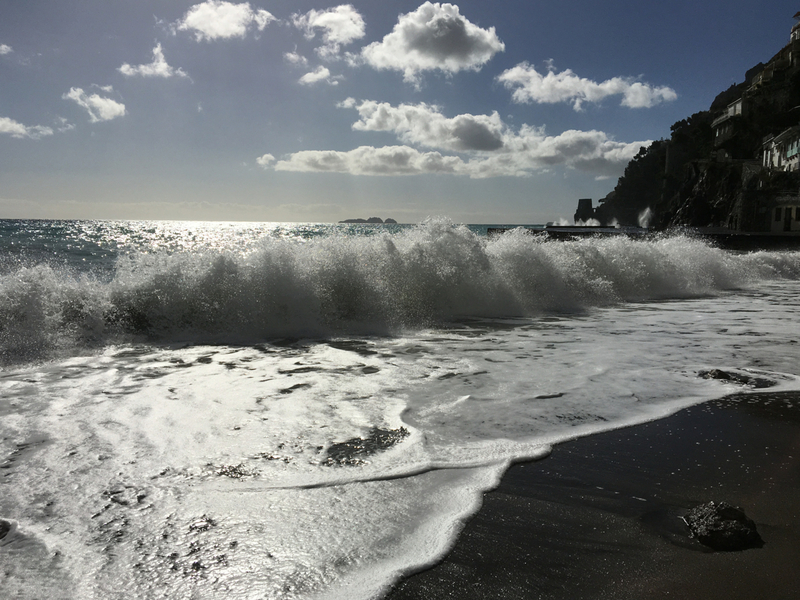 This February, for the first time, we drove almost the full twist of the coast – there was sunshine, there were clouds, and there were very few tourists. 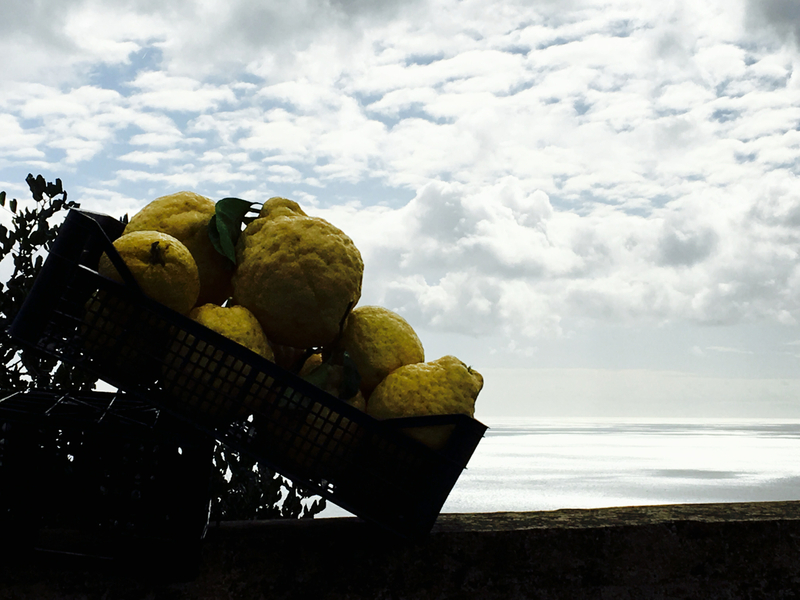 At first on the grey morning, through the jumbled outskirts of Naples, there was no flicker of Amalfi light … but it came. And with it came lemon groves; bougainvillaea; moonflowers; green, jagged hills; and villages hidden in the curves, stacked indifferently to face the sea. We followed the curves, our old silver car a scrawl across a place of brilliant blue. Everywhere ceramics bounced back the light. 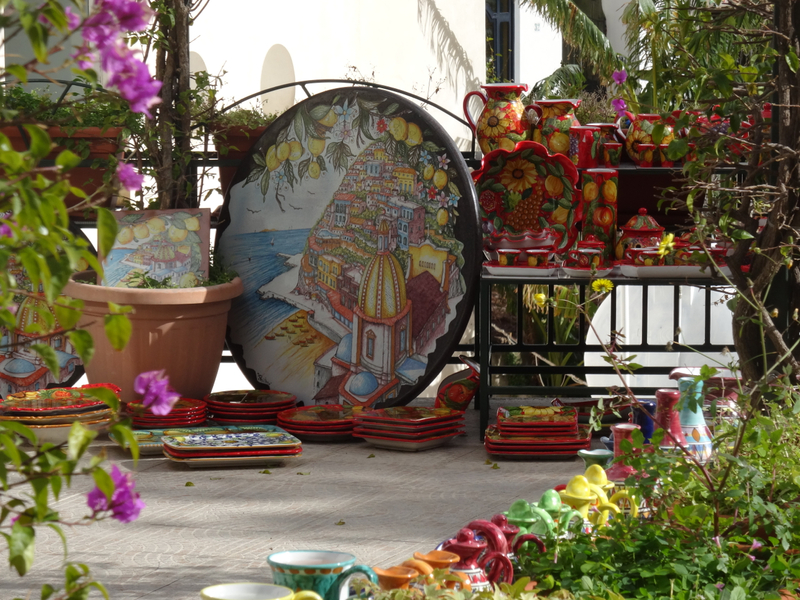 The display below, with every right to belong, was opposite a petrol station and before some of the parking lots on the steep road into Positano. 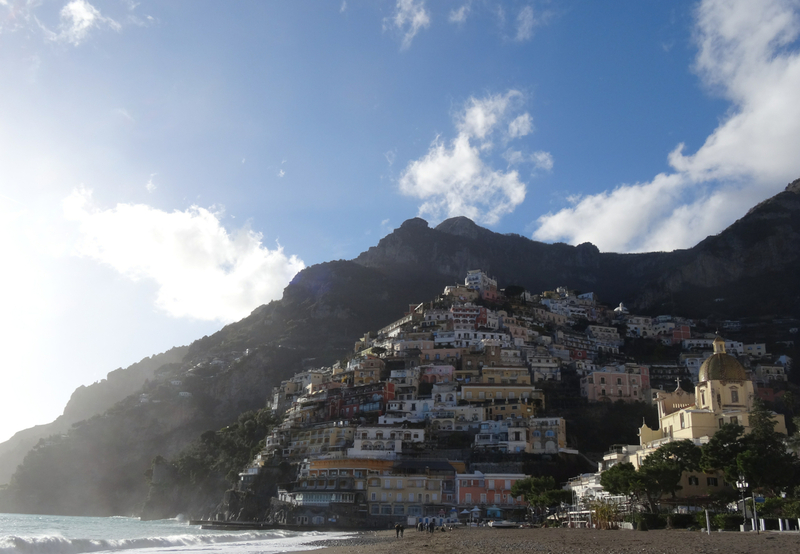 We stayed longest in Positano, curious to see the famed town for ourselves. The walk down to the beach from the central parking felt soulless, an empty parade of shops waiting for the tourists. Serendipity was lost … until we reached the sea. There nature filled the sky and forced the town to huddle back against the cliffs. From the far end of the beach the insistence on Positano made sense but, as we drove up out of the town, so too did the mules loaded with sand for building work. 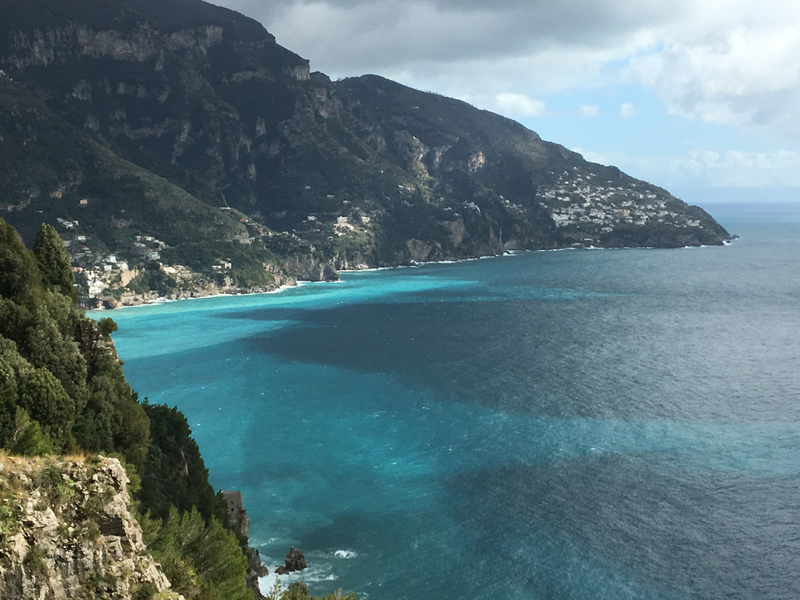 The road looped towards Salerno – blue to one side, rock face on the other, and anything dead ahead. 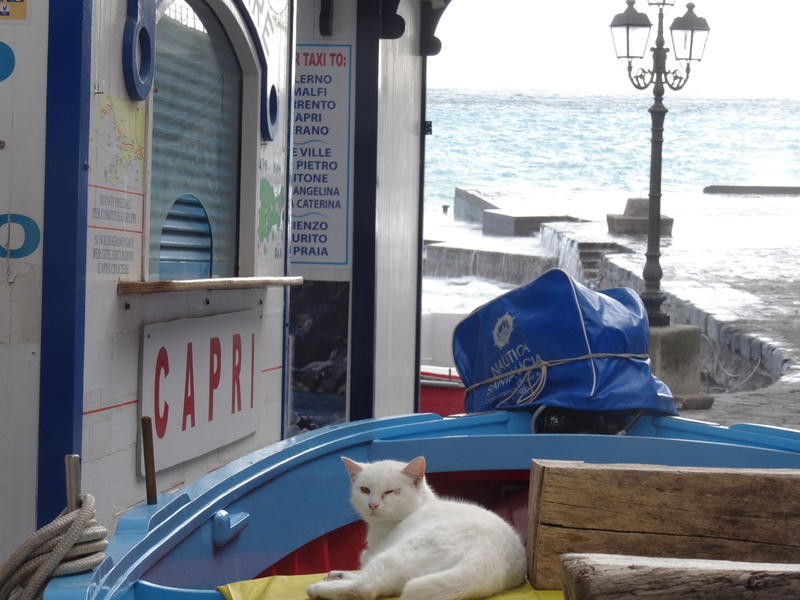 We stopped for coffee in Maiori and then drove on. We ignored the lively charms of Cetara, and wiggled up and out past Vietri, a town so full of ceramics and shoppers it’s always hard to stop. There, high above the sea and with weary wings, we dragged ourselves away from the light and headed back to Naples. 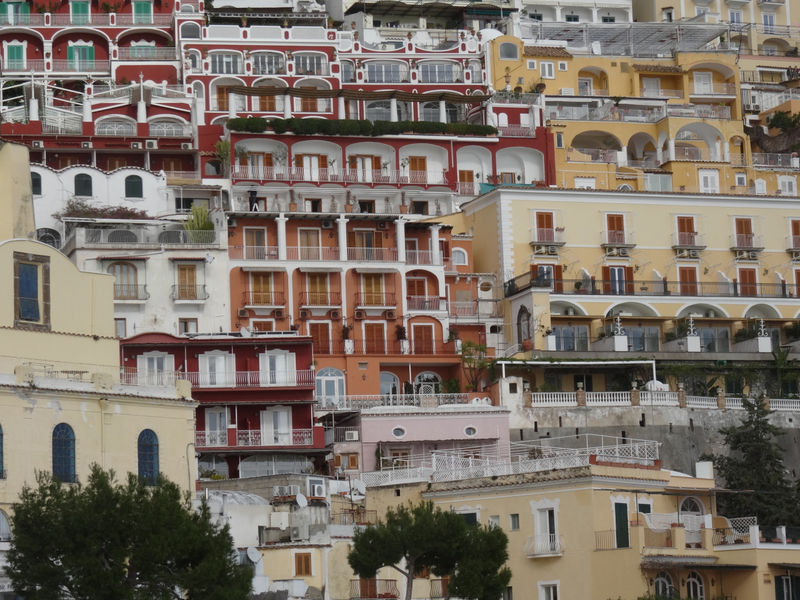 Behind us the Amalfi Coast, craggy survivor of countless naval invasions, was lost from sight. 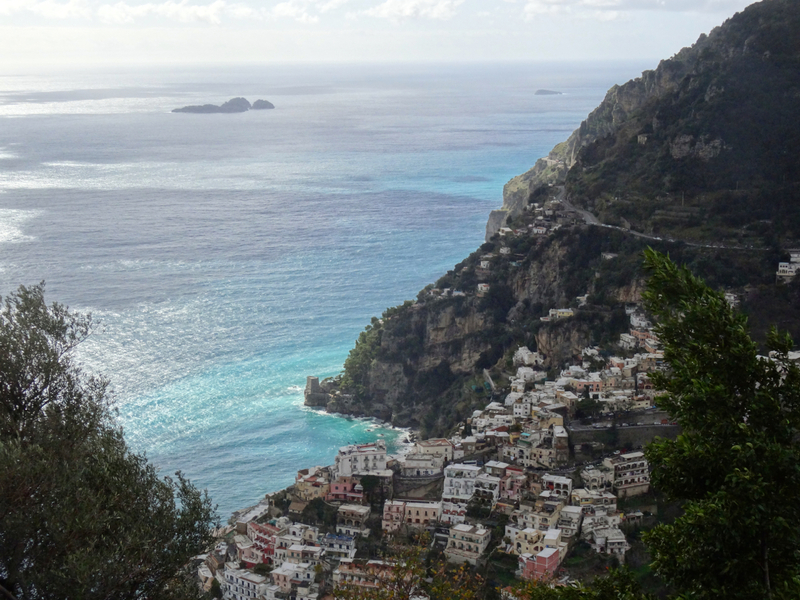 We’d driven 40kms of road, the full length of the Costiera Amalfitana, a UNESCO World Heritage site that has, at most, a few more quiet weeks before thousands and thousands of us will cross the hills to dare along its length, drawn by the blue of the sun on the sea. Perhaps it’s time for the asinello (little donkey) to come back. 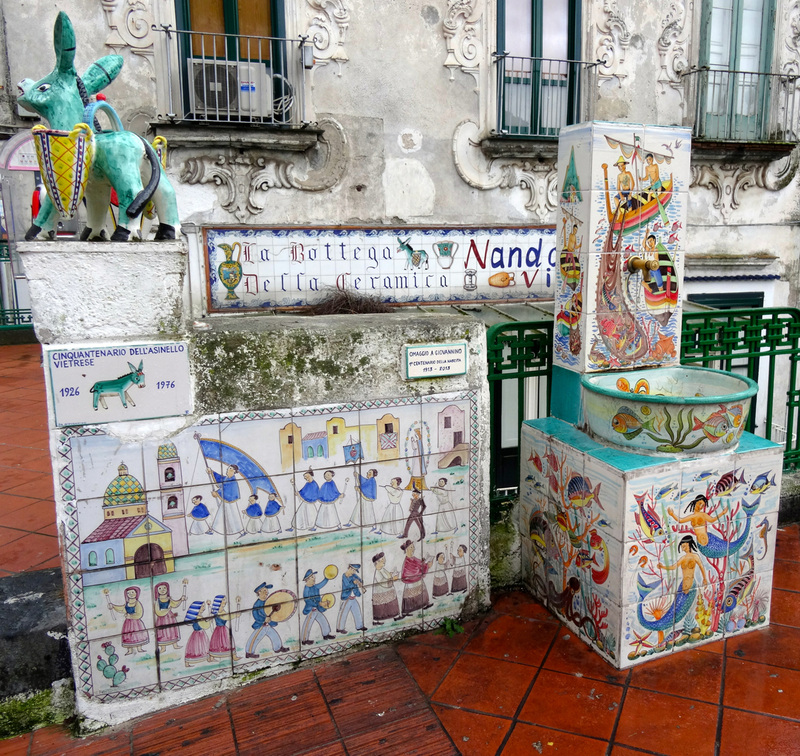 Vietri – where ceramics honour the asinello. 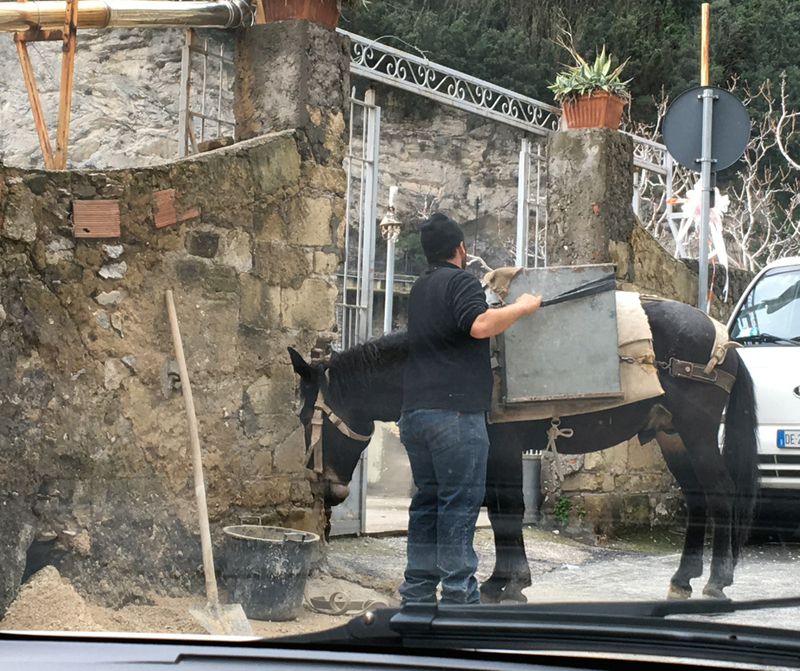 This entry was posted in Amalfi Coast, Italy and tagged Amalfi Coast, asaniello, ceramics, Cetara, donkey, drive, Maiori, mule, Naples, Positano, Vietri. Bookmark the permalink. Hello Madison, thank you so much for your comment! You’ve just put a big smile on my weekend – thank you for your company … and thanks to Annabel. Light, colour and wind under the dogs ears – best done in a mini with the top down! Really, really great writing, Georgie … one of my favorite posts. I felt I had wings, too! 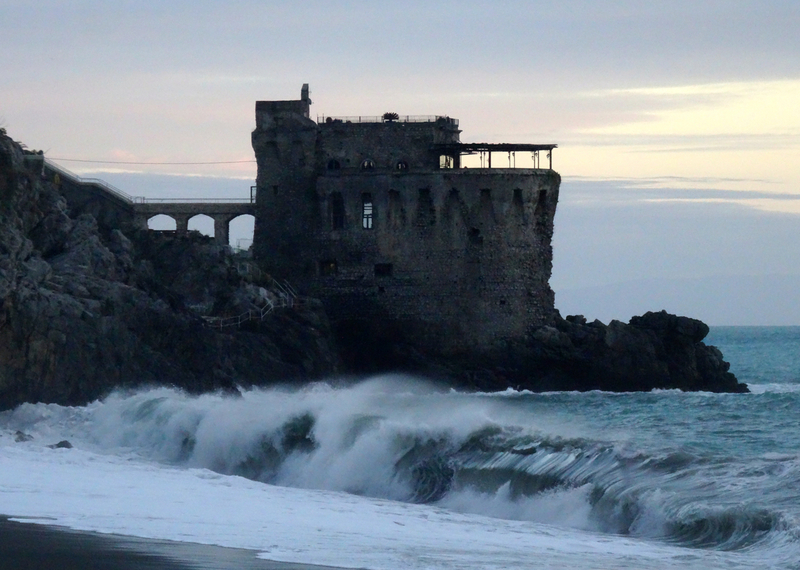 This coast is the Highway 1 of Italy. You are 100% right about the mind being filled with light. It’s also filled with fantasies and dreams and the desire to never return home. Great post!